Plans to build two new sports stadiums in the north downtown district, now referred to as Fox town, doomed a number of fine old ruins. 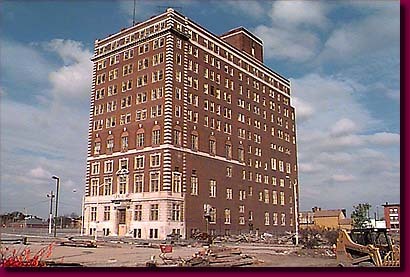 Shown here is the Albert Kahn designed Downtown YWCA. Abandoned to development, like its sister institution, the Downtown YMCA, she sits on death row with the YMCA Building.